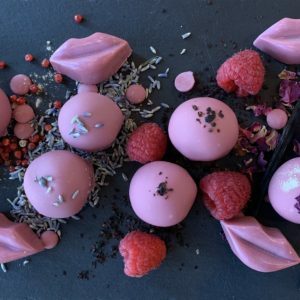 We’ve spent many years developing the perfect truffle and we continue to amaze our customers with unique flavors of over 100 truffle recipes. 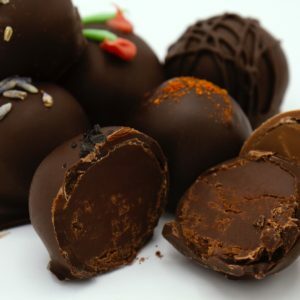 We use premium chocolate, organic dairy and hand selected fresh produce to create a uniquely rich and decadently flavored product. Our Flavors are ever changing. If you would like a current list please e-mail us.